The best night vision gun scope is pretty hard to find, right? That’s because there are so many scopes on the market and it’s difficult to browse through an endless literature of specs and reviews, official instructions and personal opinions. So we thought we’d make things easier for you. We’ll begin by analyzing the decision making factors, and the characteristics of the scope you’ll get, so it suits your needs. After that, we’ll discuss seven worthwhile scopes that are user friendly and come at an attractive price range. All these products and their characteristics are summarized in the table below, so you can compare them better. 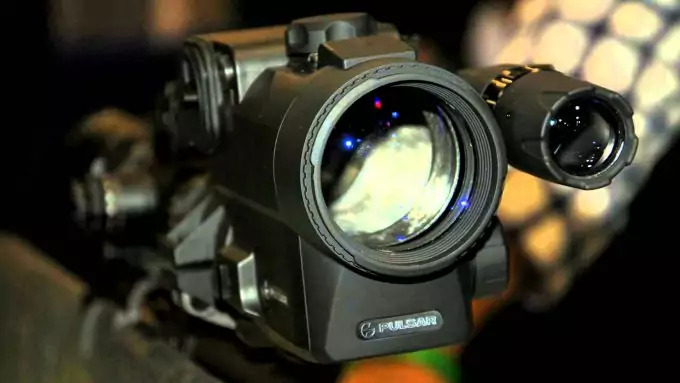 There are many issues to take into account when getting a night vision scope, but you should read these in the key offered by your main purpose. We’ll skip the advice about getting a qualitative scope, manufactured from great materials which render it resistant enough for prolonged use in various weather conditions. The bigger the magnification, the more details you’ll see. Although the maximum range doesn’t go past 300 yards for the most proficient night vision and 150 yards for most Gen 1 scopes, details are important too. If you’re after smaller animals, or if you need to take precise, bulls eye shots, a bigger magnification is necessary. Conversely, you might need a scope for indoor shooting or brush hunting. In this case, you want a smaller magnification, but a wider field of view, of at least 20ᵒ. For image brightness, you need two things: optimum light transmission and minimal light reflection. Those things are translated into big lens diameter and multiple layers of coating. You know you’ll get a crisp image for night vision, if your lens diameter is at least 30 mm and the optics are at least fully coated, if not multi coated. This is an important feature if you want to use your scope for other purposes too, like surveillance. Or, you might want to trace back your steps, analyze your mistakes or share your videos online. Just make sure you get a good resolution and a big enough SD card slot. Some scopes even include an SD card in the package, which is always a perk. A smart scope is great for tech geeks or for those more interested in a digital accuracy. These scopes have a GPS for precise elevation measurements and various sort of reticles. They feature range finders, Wi-Fi connection and remote control via a smartphone app. So, if you’re not tech savvy, nor social media focused, and also not interested in the many commodities that modern technology offers, a smart device might not be for you. Many such people prefer the traditional windage and elevation settings, for instance, rather than a GPS. The reticle type tells you which animals you can hunt, for instance, a Duplex reticle is great for varmint hunting, while a Mil-Dot type is great for range finding. But the most important thing is to make sure the reticle is visible. The red on green is great for night vision, but a white/ amber on green might also work well for dark targets. And don’t forget there are scopes that feature multiple reticles, which is an immense help for shooters who are after versatility. The built in IR should be powerful enough for you to see further away. An 810 nm W IR means a higher wavelength and more power, but a 450 nmW IR can also help you see pretty far. You can also get a pulsing sort of IR, which gives out an intermittent light and saves some battery life. Just make sure you choose the right power for your purposes. For instance, a very bright IR might obscure the surrounding brush, which isn’t great for brush hunting. 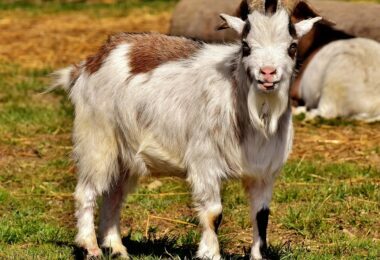 Or it might be visible in the short range for nearby animals, which can give out your position. 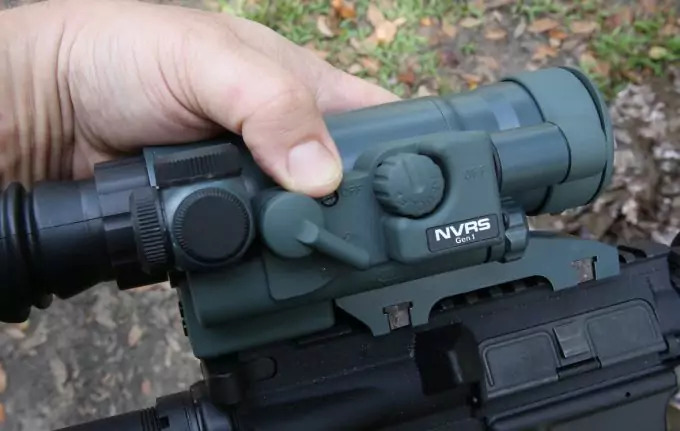 Make sure you get the needed range for night vision but know that you’ll get a possibly bigger range for day vision if your scope supports that. The range might be bigger for reflective targets than trees or medium sized animals like deer, though. For day use, you also need a bigger magnification for the different distance. If a 6x is considered for the long range in terms of night vision, it’s barely categorized as medium range for day vision. You also need a bigger lens diameter for bright images, because there’s obviously more light during the day that will pass through the lenses. 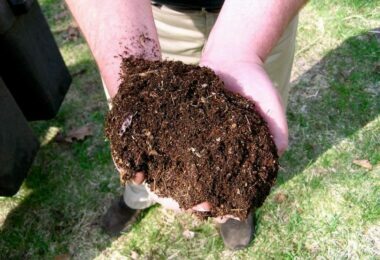 If you want to see these features at work and learn how to make a better choice, take a look at the products below. With all those features considered, the scopes we’ll review have it all. We’ll list their official specific features, then discuss each in terms of your purpose. There’s also a pros/ cons section to make things easier. 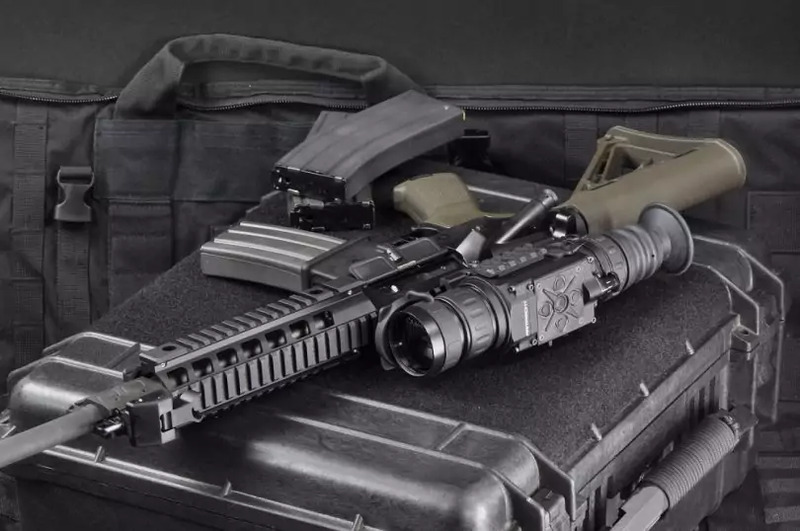 The Firefield Tactical Night Vision Rifle Scope is a qualitative scope for the money. We love the multi coated optics that ensure image brightness for this scope, so you can see precise details even at night. The large 50 mm lens diameter contributes to that, accounting for increased light transmission so there’s little internal blur. On the other hand, you have a small 2.5x magnification, so you won’t see extremely minute details. Plus, the 15ᵒ FOV is a bit narrow for such a magnification. The built in infrared only goes as far as 100 yards, which makes this scope perfect for varmint hunting. We love that it’s a pulse IR, which extends a bit the battery life, considering that the 2 3V AA batteries needed don’t last that long anyway. 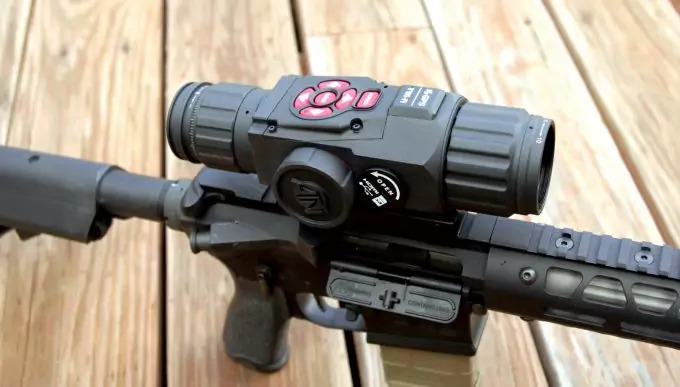 The illuminated red on green duplex reticle is fairly visible at night time, and the images rendered are qualitative enough, though this is a Gen 1 device. We love the sturdy titanium build, but this also renders the scope a bit heavy. 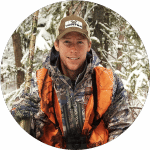 The IPX5 rating renders the scope resistant to both water and dust, so you can hunt regardless of the weather. The flip up lens covers have a good design and will shield the scope from dust as well. The extended Weaver mount is another plus in terms of design because you can use it with action rifles. 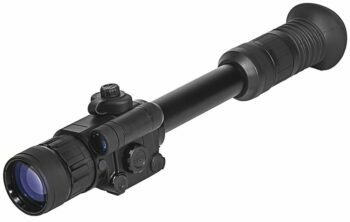 Related: We recommend the Olight M Series Offset Mount if you want to use this scope on a Picatinny rail. It’s an inexpensive mount, but it’s reliable since it’s built from anodized aluminum. 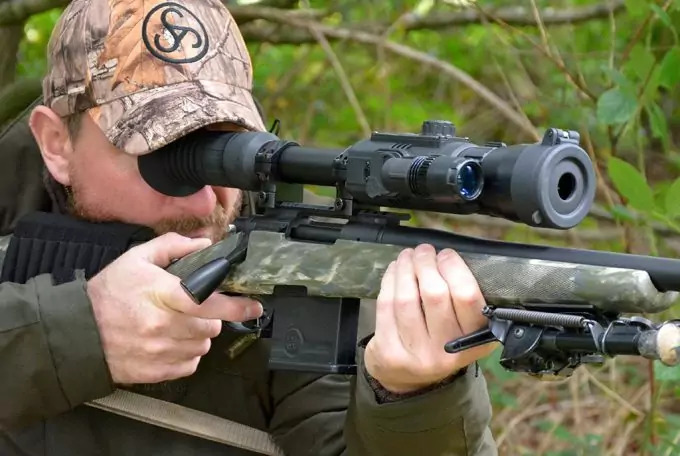 The ATN X-Sight II Smart Scope is a digital device with a 3x magnification that’s perfect for medium short range shooting, as the details aren’t particularly enhanced. The 14 mm diameter is a little short for optimum light transmission, although you can use this scope during the day too. So even if the night vision is great, the day vision is lacking. We love the powerful 850mW IR that’s great for pitch black. And you have a lot of patterns and color options for the reticle, which translates to versatility. On the other hand, the field of view is also pretty narrow at just 9ᵒ. The smart features are a treat for any hunter who values precision above anything else. The included GPS is great for geotagging and elevation. The Wi-Fi streaming is a plus for social networking, and the remote control with your smartphone is very helpful. The 1080p videos taken look really well too, but all the images have a good resolution. The built in rangefinder is also a nice addition for the price, but the 4 AA batteries required have a pretty short life. Also, the 2 pounds worth of weight might be considered on the heavy side. Related: We recommend the ATN Power Waepon Kit considering you need some batteries that will keep up with this power drainer. 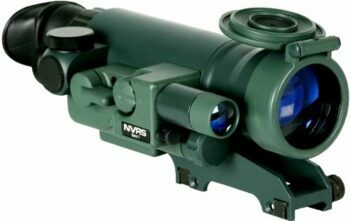 The Yukon NVRS Night Vision Riflescope is a good riflescope that has a 2.5x magnification for short range hunting. The 50mm lens diameter along with the multiple layers of coating do wonders in terms of image brightness, though the 15ᵒFOV could be improved. We love the generous 45 mm eye relief, as well as the adjustable red on green reticle that’s great in terms of accuracy. The IR range is 100 yards, but you have a bigger detection range. The pulse IR is great in terms of saving battery life since this device uses AA batteries too. The titanium build is another plus in terms of endurance, and you can see why this has a weather resistant IPX5 rating. However, it does render the scope a bit heavy. The flip up lens covers for extra protection and the ability to record images and videos are amazing benefits. However, you must understand this is a Gen 1 device, so it’s not the best technology available and the tube may have black spots. Related: If you’re interested in image capture, we recommend the Night Owl iGEN Monocular. It has a similar 3x magnification but its iGEN technology is more qualitative than Gen 1. It’s said to be even better than Gen 3, so that’s why we like it so much. 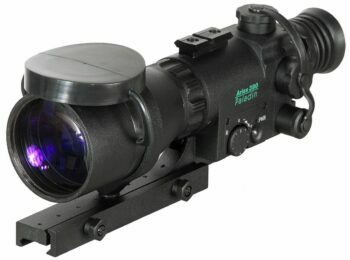 The ATN Aries Paladin Night Vision Rifle Scope is another scope you’ll see us complain about its narrow field of view. But this time, it’s just 6ᵒ, so you can say we’re pretty justified. That means the indoor use of this scope is out of the question. But with its 4x, you can hunt outdoors really well, at a medium distance. The IR is pretty powerful, though less so than other previous items we reviewed. That’s because it works on a 450mW wavelength which still enables you to see as far as 160 yards. The low F stop is great in terms of increased light transmission so there aren’t any black spots on the tube. The multiple layers of coating also contribute to rendering crisp images. We love the adjustable and accurate red on green reticle, which also has a brightness adjustment. This scope is versatile, can be mounted on Picatinny and Weaver rails alike, and it’s resistant to water and fog. However, the included flashlight is pretty difficult to switch on and off, so that might give you some trouble unless you watch a how to video. Related: If you’re willing to invest a little more money we recommend the ATN ThOR Thermal Riflescope. This is great for professional use, with a 1.25 – 5x magnification and smart features, including a rangefinder, GPS and image/ video recording. 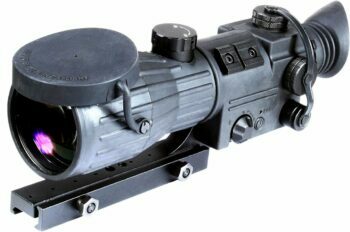 The Yukon NVRS Titanium Night Vision Scope features a significant improvement in terms of the field of view as opposed to the previous scope. However, that comes at the cost of a smaller, 1.5x magnification, which only renders it great for the short range. 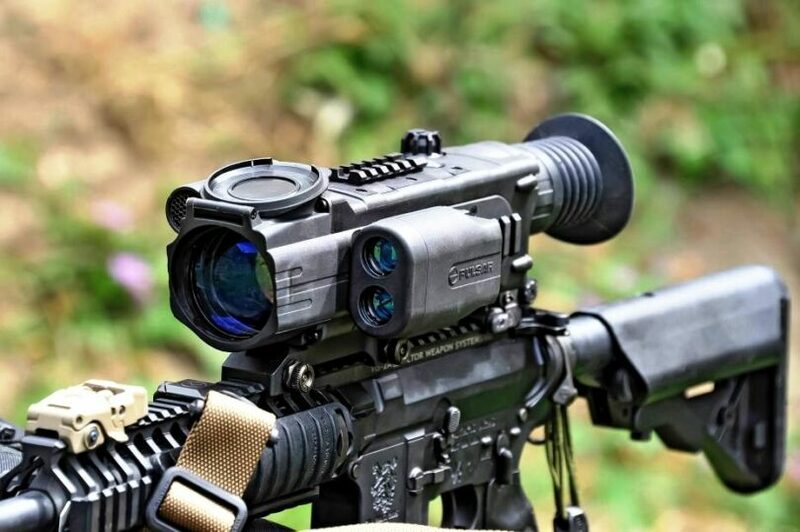 Though the built in pulse IR has a 100 yards range, you won’t see very magnified details. But we do appreciate the generous 42 mm lens diameter along with the multi coated lens that renders particularly crisp images so you can do some varmint hunting. The red on green reticle is adjustable and fairly accurate, and so are the windage and elevation. The on/off remote control is a definite perk, along with the image/ video recording capability. However, the 2 AA batteries are again short lived, though the pulse IR might prolong their life a bit. On the other hand, the infrared washes out closer objects, like a brush. The IPX5 rating makes this scope weather resistant, you get an included Weaver mount and the flip up lens is user friendly. Related: If you like the Yukon brand, we recommend the Yukon NVMT 1×24 Head Mount Kit. 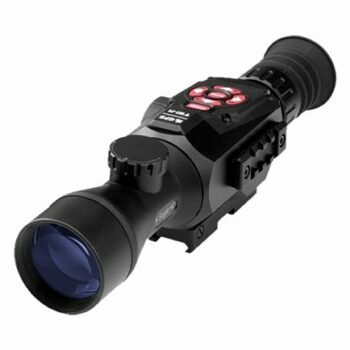 With a similar magnification, this is great for accurate depth perception thanks to its increased 30ᵒ FOV. 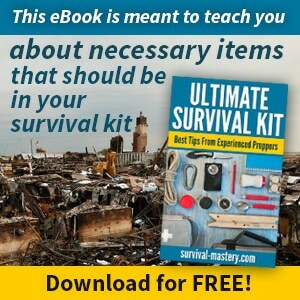 Plus, you can use it for boating, camping, as well as search and rescue. The Sightmark Photon XT Night Vision Scope is the best you can find in terms of versatility. With its six reticles, you can go varmint hunting, use the rangefinder or take crossbow like shots with your rifle. They are all red/green/white digital, so you can adjust their color depending on the environment and time of day. The 4.6x magnification works for the long range during the night, and for the medium short distances at day. The 810 nm LED infrared is particularly powerful, and gives out 120 yards maximum range. We love the good 640×480 resolution as well as the capacity to record videos. The whole construction is qualitative, beginning with the 33% more battery life and the shock and weatherproof design. We appreciate both the integrated Weaver rail, as well as the digital windage and elevation feature. However, this scope is on the heavy side as well, and the field of view is very narrow, though that’s understandable in terms of magnification. 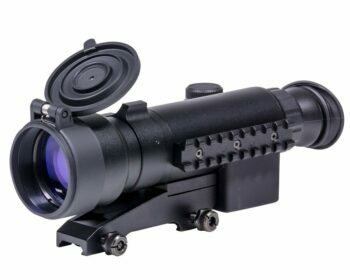 Related: Even if this scope only has a Weaver mount, you can use it with a Picatinny style rail, if you buy the right accessories. That’s why we recommend the UTG Hi Pro Picatinny QD Rings, which are 22 mm wide and very resistant, seeing as they’re manufactured from an aircraft grade aluminum alloy. 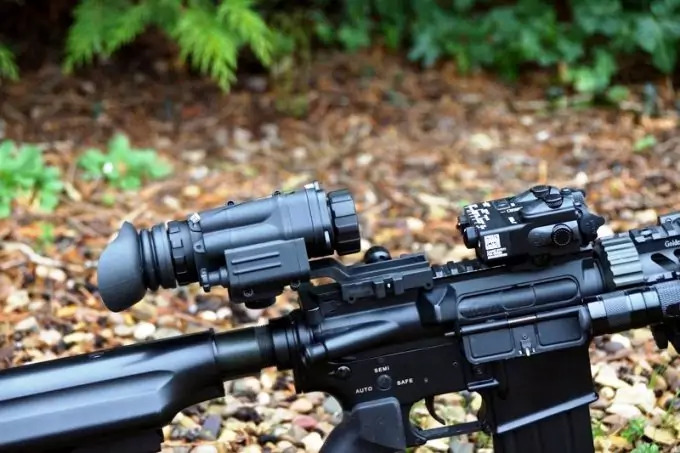 The Armasight ORION Night Vision Scope is great for long range shooting considering it has a 5x magnification that enables you to see minute details even at nighttime. The corresponding 10° FOV is somewhat narrow, though we’ve reviewed products with smaller magnifications that featured a narrower field of view too. The red cross reticle is accurate, it’s well lit, plus you can adjust its brightness. The 810 mW infrared is powerful enough, and it’s also detachable. The 30-40 lp/mm resolution could be better, though the images are qualitative enough for a Gen 1 device. And the 200+yards maximum range is definitely great. 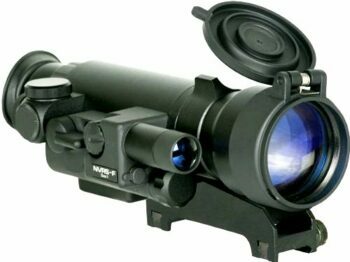 There’s a Weaver rail mount included, and thanks to the rubberized body, this scope is shock protected. However, adding that rubber cover to the aluminum body renders the scope heavy, albeit ergonomic and water resistant. You also need one CR123A battery to operate it, which isn’t readily available in any drugstore. Related: Since this scope needs one CR123A battery to work, which is hard to come by, why not get 12? We recommend the Streamlight 85177 CR123A Lithium Batteries because they’re reliable, they come in a neat package, and they have a long shelf life. We’ve reviewed scopes that have multiple reticles, like the Sightmark Photon XT, for maximum versatility when it comes to shooting, while others have just one, albeit reliable reticle. 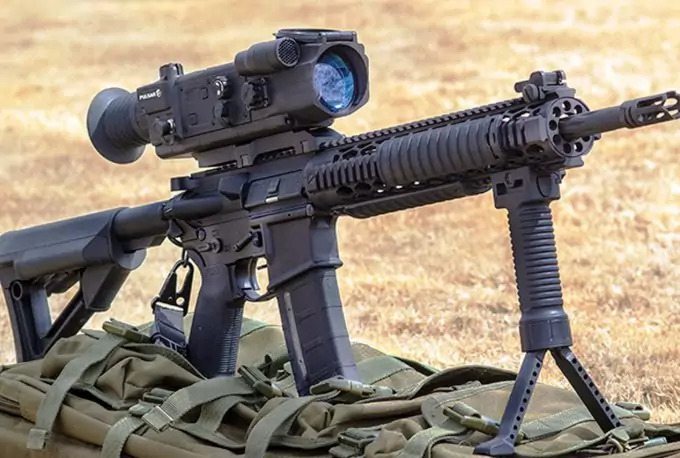 We’ve also reviewed items with a bigger magnification, like the Armasight ORION, along with scopes that bearly render any magnified details at all, like the Yukon NVRS. But all these scopes are reliable and user friendly if you use them for their intended purpose. So if you’re interested in indoor shooting, make a bigger field of view your top priority, not a smart scope that has a narrow aperture. That said, which scope will you get? What are you going to use it for? Do you know of a better scope that would fit among these reviews? Let us know in the comments.